Hello ladies and gentlemen! Welcome to another wonderful Interview Friday! (In my head there was this awesome echo on that last word and the crowd was all chanting “we will rock you” in the background.) I’m so excited to start my interview with this week’s guest. We’re changing it up a bit here on The Writing Piazza. Today I will be interviewing someone who isn’t an author but someone who loves books just as much! Today my special guest is the creator of OwlCrate! (the other 1/2 being my boyfriend Robert!). 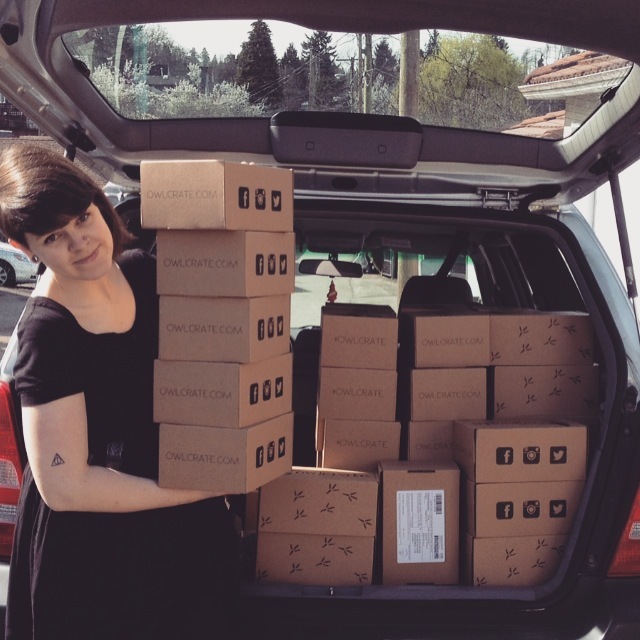 We live in Vancouver, Canada and run OwlCrate through our home, while also working full-time jobs as managers of a small toy store. We’ve always dreamed of opening our own small business, and OwlCrate has been such an amazing experience so far! 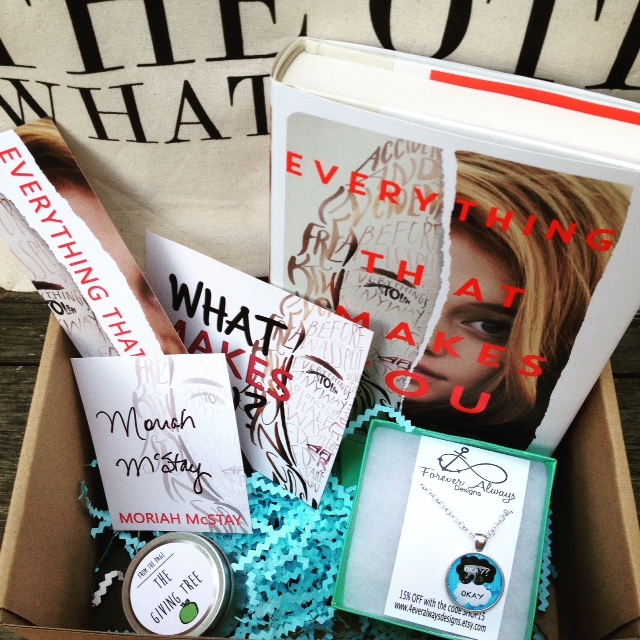 OwlCrate is a YA subscription service. Can you tell my readers a bit more about that? 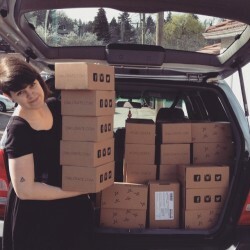 OwlCrate is a monthly subscription box service. Every month we deliver a curated box to our subscribers that is filled with a newly published Young Adult novel, as well as 3-5 bookish goodies. Examples of goodies would be jewelry, tote bags, candles, bookmarks, toys and more! We also include exclusive items from the authors of the books we send out. 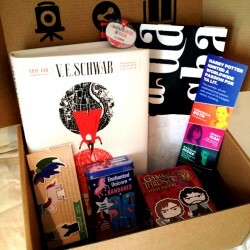 It’s just a really fun way for bookworms to receive items designed with them in mind every single month! Because I’m a curious person and I get to ask you questions, what made you decide to start this service? We’ve wanted to start our own business for a long time. At first we were thinking of opening up an online boutique for bookworms, but ultimately decided that offering this a subscription box service seemed like a lot more fun, and allowed us to be very creative each month. I have to find projects to fill my need to be creative too! You would think writing would do it (it helps, but still, I have a very large creative need lol) so I have to find other projects to fill the ole creative tank. I completely understand that need! You said you put some other things in with the book you send, how do you decide what to include in the box each month? Many months in advance I research what YA titles are publishing, look at early reviews and which titles are gaining buzz, and figure out a theme that coincides with the books we end up choosing. After I come up with a theme, I begin browsing the internet for items that would be a good fit. A lot of planning and brainstorming goes into each box! I’ve watched the box opening videos on YouTube that your subscribers post. *longing fills eyes* The items you pick all fit so well with your theme, I can tell you put a lot of time and effort into them. Right now we’re only interested in including novels that are being published by major publishing companies. We won’t be including promotional items in our boxes from anyone other than the author of the book we’re also including. However, we’re always open to collaborating on social media giveaways for self-published authors though! This is a great way to get your new book out in the public eye. We encourage authors to send us giveaway inquiries to: submissions@owlcrate.com! You know I gotta help my writing peeps out so I had to ask! But that’s good to know you’re open to collaborating. I hope my readers, who are also writers, are taking note of this. This would be a great way to promote your work! We’re always on the look-out for new and exciting bookish shops/creators. If any of your readers are interested in having their items included in our boxes, they are more than welcome to get in touch with us by email at submissions@owlcrate.com. Please keep in mind that we do require that interested shops be willing to send us samples of their product! Fantastic! I hope any of my crafty, bookish people out there are interested that they will take advantage of this opportunity! There are great connections to be made, I can just feel it! Back to your subscriptions, they are so amazing, they are always sold out within a matter of hours. I have been on your waiting list for a month now and I’ve decided this next time to set my alarm on my phone so I don’t miss it. haha Can you tell us, are you planning to expand? Will you be putting out more boxes each time or are you at your limit for now? 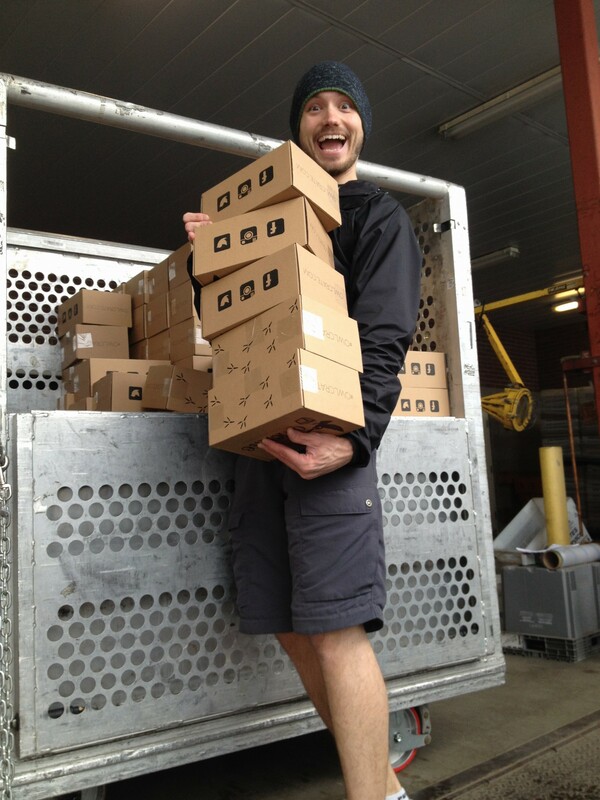 We can’t believe the demand for our boxes! It’s truly amazing and we’re so grateful. Every month we expand the number of boxes we ship out, and we’ll continue to do so for as long as we can. For the month of June we’ll be sending out more than ever! The best way to successfully get yourself a subscription is to add your email to our wait list on OwlCrate. This means that you will receive email reminders of when new boxes become available. Make sure to set your alarm for the correct date and time the boxes go on sale, and be ready! Due to the huge amount of people who try and get subscriptions, sometimes our website can crash. Just keep refreshing and keep trying! A lot of people successfully get through after a few minutes. Wonderful! 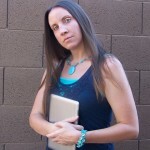 Thank you so much Korrina for taking the time to join us here on The Writing Piazza. This has been so fun and I hope informative for my writing friends, my reading friends, my crafty friends… well I just hope it was fun for everyone! I hope you all will join us next week for another Interview Friday! It’s one of my favorite times of the week. Ok, anytime I get to spend with all you marvelous people is one of my favorite times so please keep coming back!